If you are comfortable with static key mappings to type Kannada in your regular English alphabets then to create Kannada content you can always go for a round to our adda http://www.e-slate.in and continue geeching even after going off-line. But Google's Kannada transliteration feature can tolerate some of your extra typo variations with a bit more of its machiny intelligence to ease your typing experience. Give it a try in your free time. 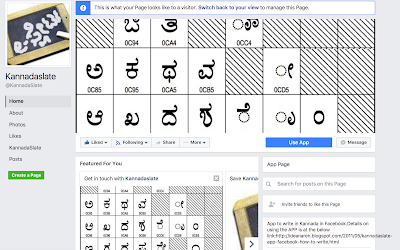 If you love it, or have suggestions for any Kannada related features from Google, or need money for the coming Karnataka state elections, let me know. Will talk to its founders in my free time.